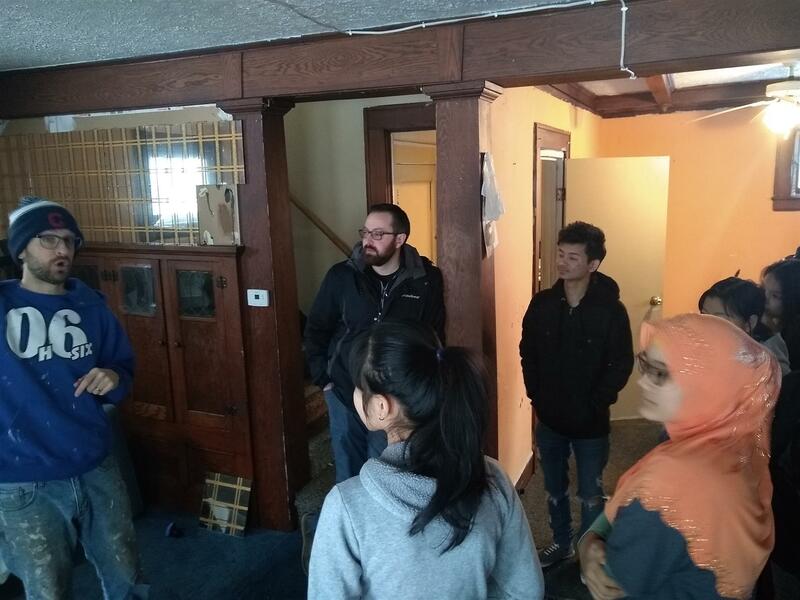 On Saturday, January 19th, 15 Interact students from North High joined Rotarians Ben Heckerman and Vincent Munnerlyn, in helping to renovate a home for an immigrant family. 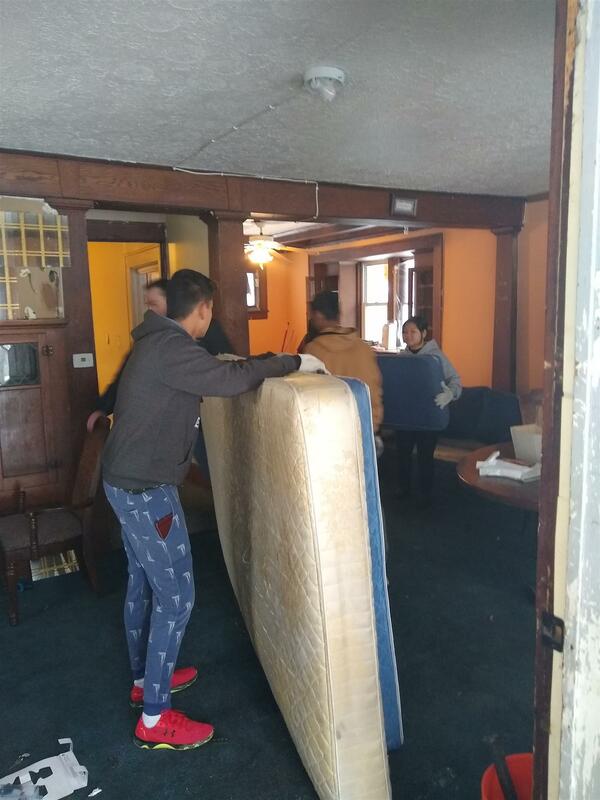 The kids accomplished a ton by removing trash, old furniture, carpeting, and tile floors. They were able to entirely fill a large dumpster. There was so much excitement among them that they can hardly wait to be involved in painting the home in the next 6 weeks. Ben and Vincent were a huge help in making use of their general contracting skills and providing leadership for the day. 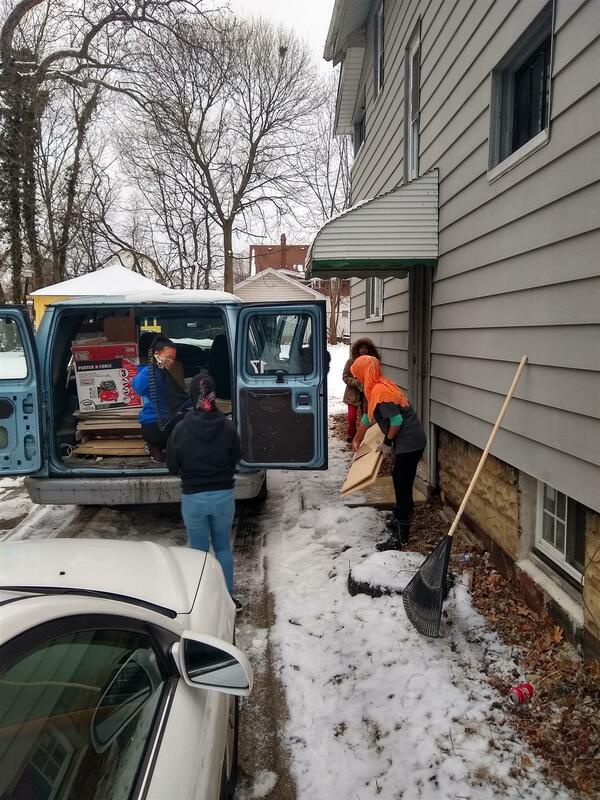 The best part of it all was that these hearty souls were able to accomplish their work just before the blizzard hit. Legacies of Success is a local non-profit that specializes in buying fore-closed homes and restoring them. 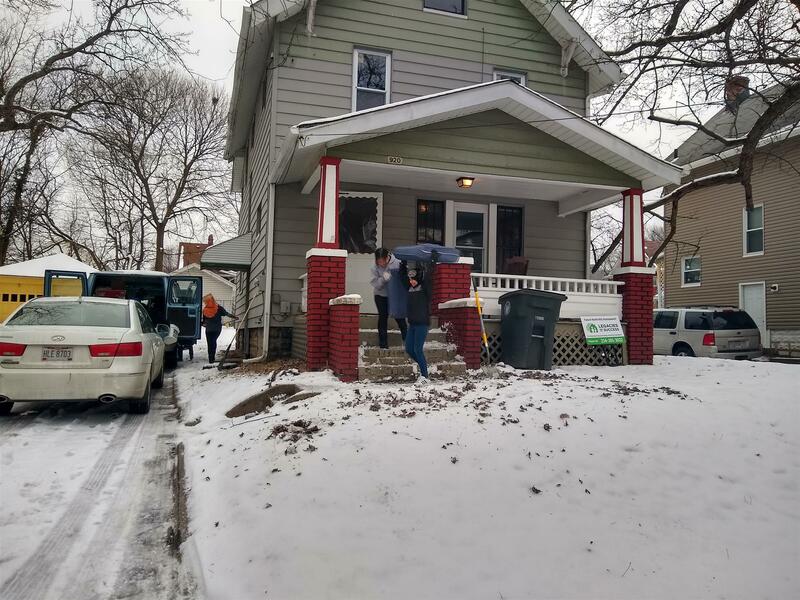 They then identify an immigrant family that is getting rooted in Akron and help them through education and training to purchase their first home. It is a wonderful work that Legacies of Success is doing for the North Hill section of Akron!